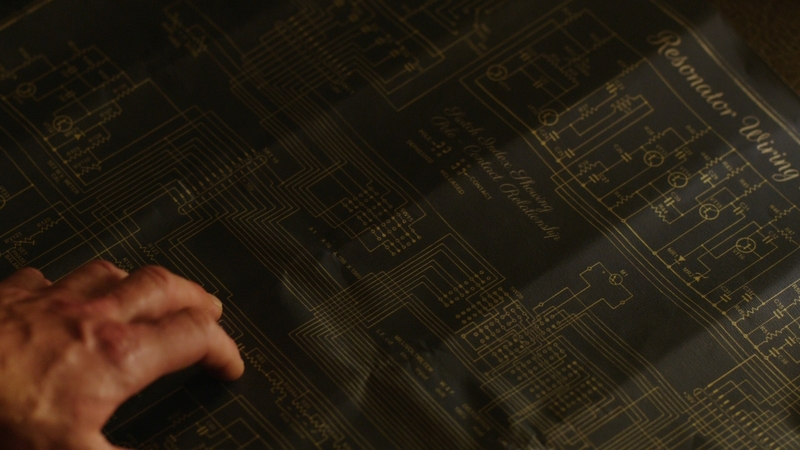 Jonathan Harker’s (Oliver Jackson-Cohen) stolen resonator blueprints and labels from NBC’s horror-drama Dracula. 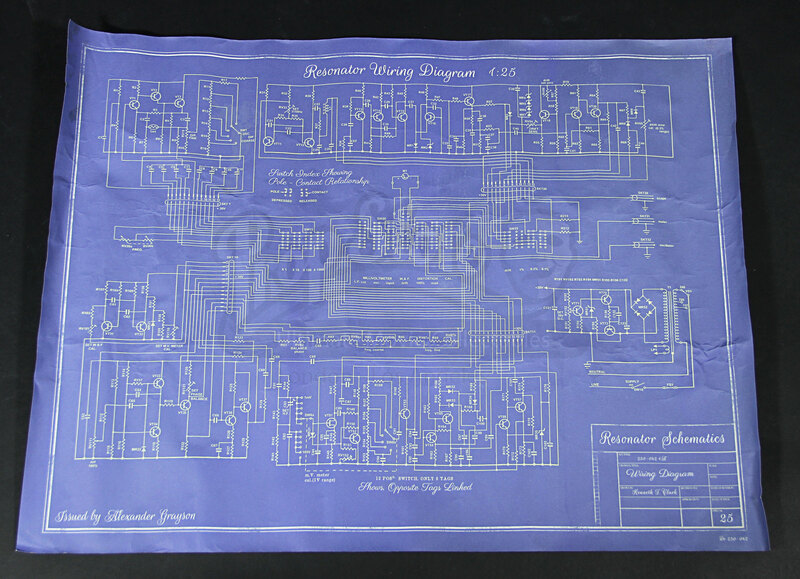 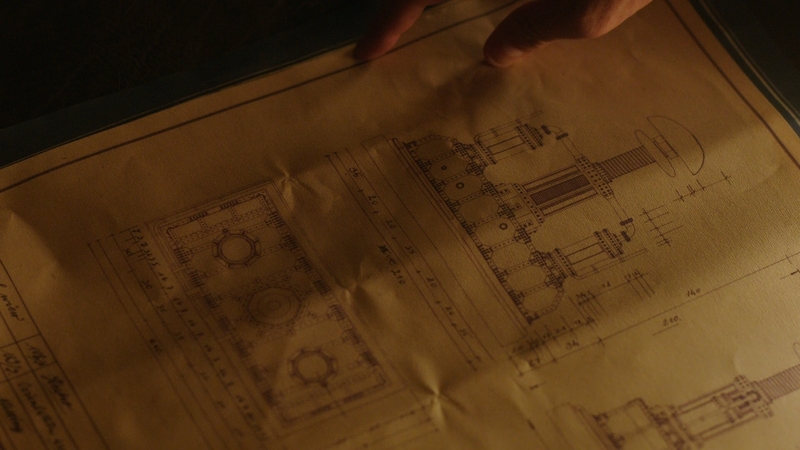 These blueprints and others like them would have been taken by Harker and delivered to the Order of the Dragon to aid in the resonator’s sabotage during the ninth episode of the series. 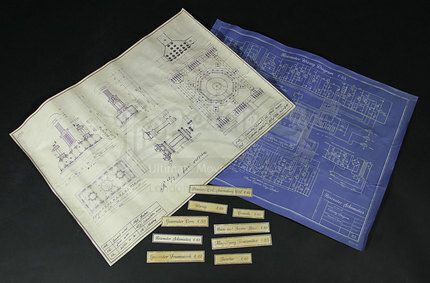 This set consists of two large paper blueprints and nine paper labels. 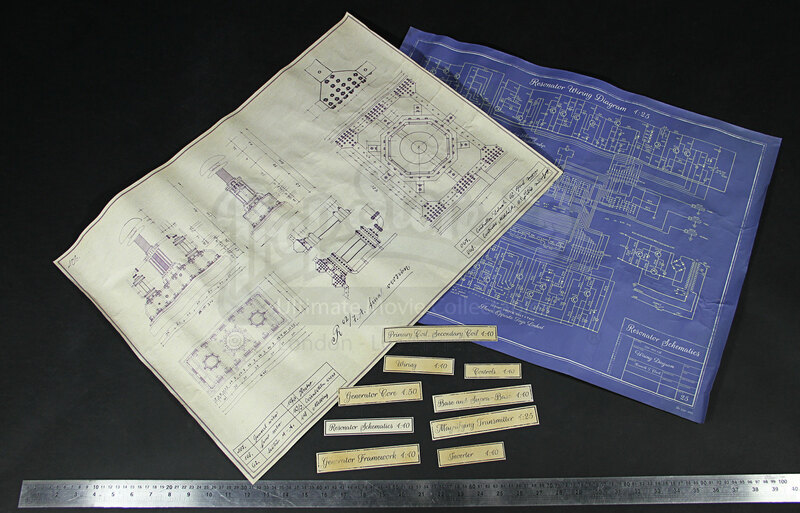 The blueprints display a white printed diagram on a navy coloured background and a navy printed diagram on a white background. 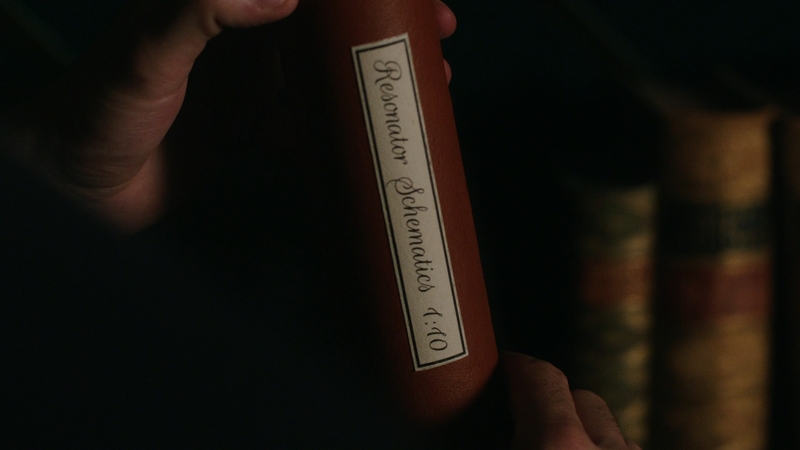 The labels are printed in fancy black script on beige card which has been distressed to look well used. 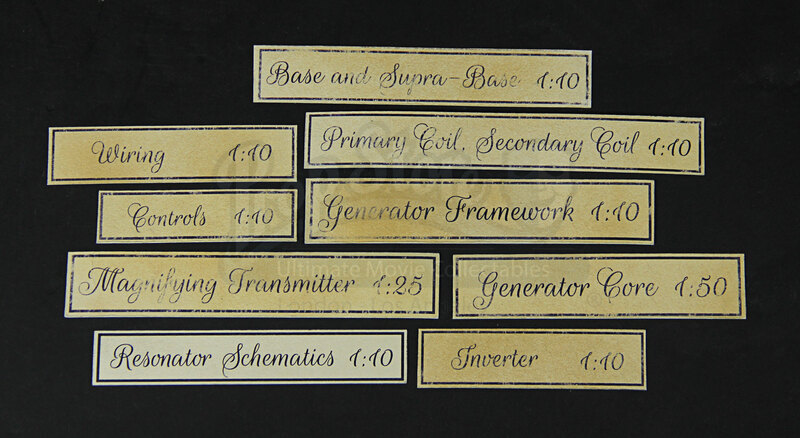 This style of labels would have been adhered to the card tubes which encased the various plans and blueprints for the resonator’s mechanics; however these particular labels are unused. 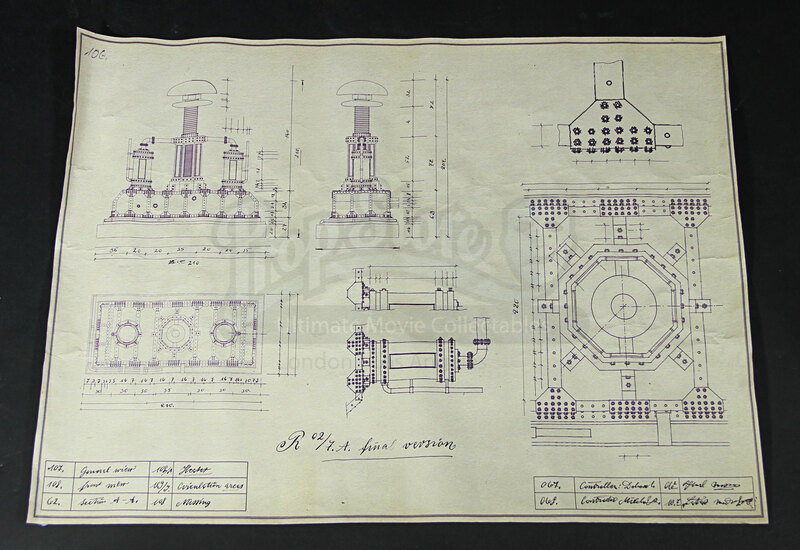 Minor wear to the pieces including creasing is present but they remain otherwise in very good used condition with the blueprints measuring 62 cm x 47 cm (24 ½” x 18 ½”) unrolled.